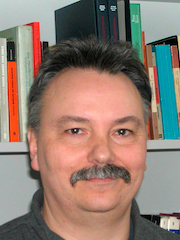 Frank Krüger is principal investigator in the International Research Training Group "StRATEGy" and holds a professorship in geophysics (seismology). He applies network and array seismology methods to image structures in the Earth's crust and mantle and to retrieve locations and focal mechanisms and other parameters of the seismic source. Besides data from global permament stations he uses the instrument pool of the geophysics group for temporary deployments in different regions of the world, e.g. in NW Argentina.